Businesses today have realized that doing things the way they have always been done simply does not work. This theory certainly applies to every layer of manual internal business processing. Continuing with manual internal business processing of non-core business tasks is the best way to dig a financial grave. Let’s face it, we live in an undeniably technology-forward society where falling behind means certain death. This can be especially true for new businesses trying to compete with larger, more established companies in the same industry. Companies who have dropped manual internal business processing, and replaced it with automated business process outsourcing. As companies are established, many choose to manage their manual internal business processing in-house. In the beginning, this can make perfect sense. However, as the company grows, those decision-makers must consider how to increase revenue while decreasing processing costs. This of course makes manual internal business processing a primary focus. This is the time to also consider if it makes better sense to turn over manual internal business processing of non-core business functions (such as data entry, Electronic Data Interchange (EDI), rebate fulfillment services, third party billing, check writing and check printing services, barcode labels, etc.) to a specialized expert partner who can condense and streamline processing. Outsourcing does not mean what it used to. Or, at least the definition has expanded to include expert businesses located within the United States who primarily focus on particular specialties in the business process that offer many benefits to companies looking to streamline costs and increase revenue. 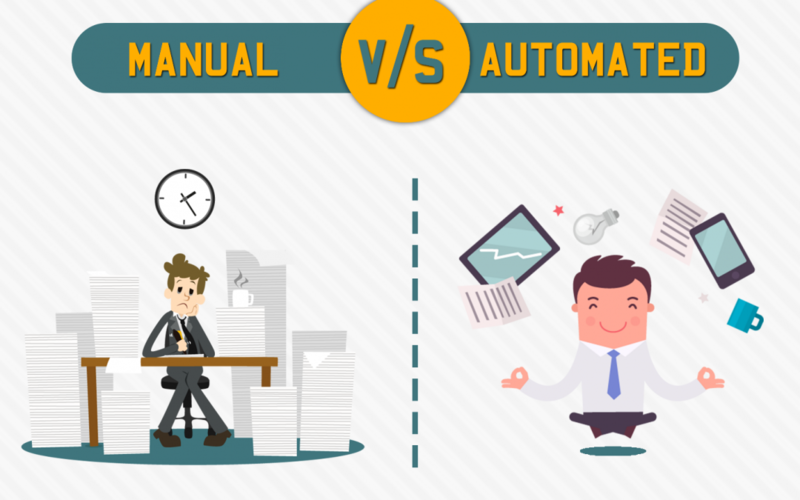 Businesses that are still utilizing manual internal business processing are able to connect with an expert who works to replace manual processing with cutting-edge technology. As a result, this improves customer service and increases productivity for your business. All of which are achieved without your own company being required to provide a large up-front cost for new technology systems and updates. Cost reduction alone is the primary reason many companies consider replacing manual internal business processing with business process outsourcing. The most successful Fortune 500 businesses even outsource non-core manual internal business processing. Business process outsourcing companies strive to continually improve processes by removing wasteful steps and over-spending. A quality business process outsourcing partner is able to provide non-core business processing services efficiently, while removing all manual internal business processing that is expensive and subject to human error. Business process outsourcing companies can leverage their technological investments and team of processors in order to deliver even more cost savings to your organization. As if the cost-savings you’ll see from business process outsourcing were not enough, removing manual internal business processing and replacing it with business process outsourcing will yield your company greatly improved productivity as well. Because business process outsourcing companies have chosen to make your non-core business processes their primary focus, they are able to invest in cutting-edge technology, process-improvements, staff training and other resources necessary to achieve a much higher level of processing success. It is amazing what simply removing manual internal business processing from your business can do for improved quality, efficiency and turnaround time results. But it doesn’t stop there. Replacing manual internal business processing with business process outsourcing also allows your business to extend more accurate service to your customers, resulting in high levels of customer satisfaction. In the end, business process outsourcing is a way to step up and manage your business competitively. Integration, Inc. is an industry-leading business process automation provider specializing in business process automation services, such as Electronic Data Interchange (EDI), check writing, check printing, check processing, rebate processing, barcode labels and third party billing to thousands of companies across the globe. As a primary business process automation outsourcing provider, Integration’s goal is to empower all its client’s to focus on their core areas of expertise, while leaving the business process automation services to our team of experts. This is accomplished by supplying excellent business process automation services that enhance your company’s ability to provide increased reliability and cost savings to your customers. Integration enables your company’s success by providing a complete IT outsourcing solutions for business process automation. As a result, this allows your organization to respond rapidly to changing business environments, while meeting your customer’s needs consistently and in a more cost effective manner.